With December quickly approaching and a new fall title arriving each week, what better moment to share some of what's new at OSU Press. Robert Michael Pyle, who stopped by Corvallis last month for a wonderful event to launch his new collection of writings from Orion, The Tangled Bank, has been visiting bookstores and nature centers throughout Oregon and Washington. Don't miss his stop in your town—check our calendar for upcoming events. We're celebrating the publication of the new biography of Oregon governor Bob Straub, Standing at the Water's Edge, with author Charles Johnson. Portlanders who missed his appearance at the Oregon Historical Society with Brent Walth can catch him at OHS's Holiday Cheer this Sunday. 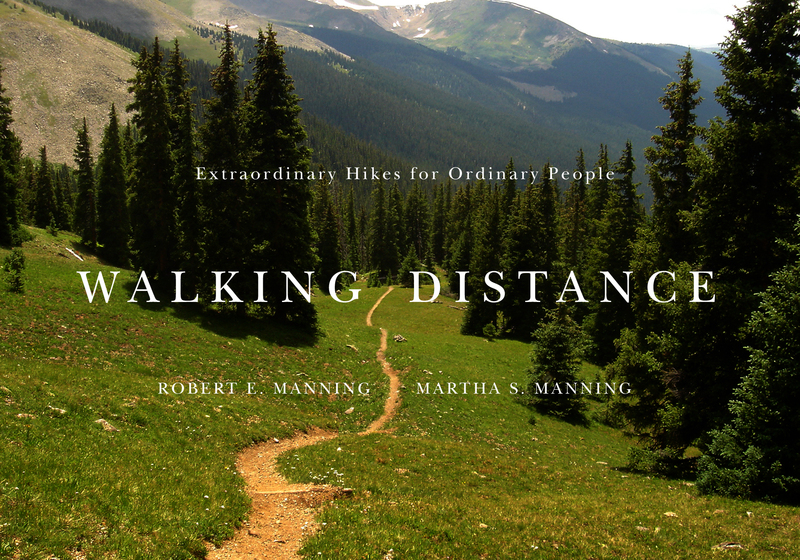 An inspiring hiking book from Bob and Martha Manning, Walking Distance: Extraordinary Hikes for Ordinary People, will make its way to bookstore shelves in early December. The Mannings have spent the last decade walking the world's great long-distance trails, and this book features some of their favorite walks. Stunning photographs, travel tips, and firsthand stories from the trail make this a perfect gift for your favorite traveller or armchair adventurer. 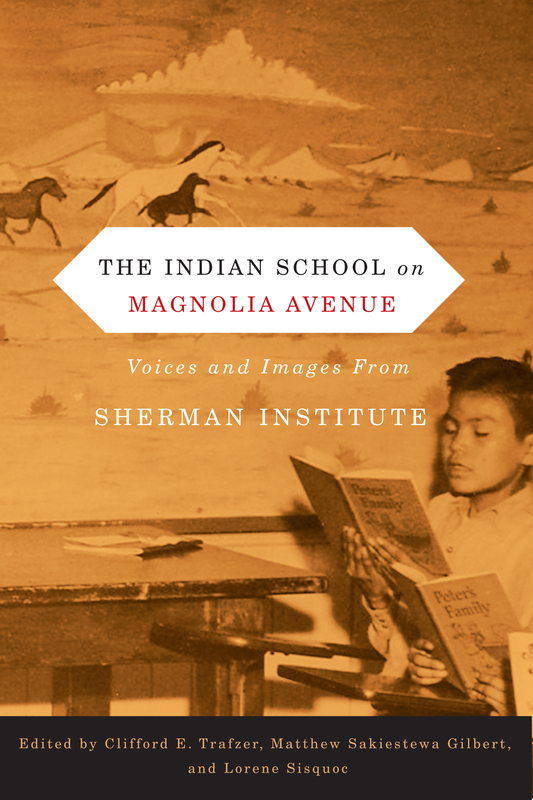 Watch our blog next week for an excerpt from Indian School on Magnolia Avenue, our newest First Peoples: New Directions in Indigenous Studies title. We're thrilled to release a new edition Robin Cody's classic book, Voyage of a Summer Sun. Aurora, Daughter of the Dawn is a historical novel for readers of all ages based on the life of Aurora Keil, whose father founded one of Oregon's most successful utopian societies. Elizabeth and Bill Orr's Oregon Geology, sixth edition, is an updated and comprehensive treatment of the state's geology. The writings collected in The Columbia River Treaty Revisited explain and explore the future of the treaty between Canada and the U.S., which governs the Columbia River. Interested in more insightful, inspiring, informative books? We invite you to explore all of our new titles. We are pleased to have OSU Press intern Jessica Kibler finish up our week of blogging as part of the University Press Week blog tour. A complete blog tour schedule is available here. The week's posts are highlighted, with links, at AAUP's blog. My year as the George P. Griffis Publishing Intern at Oregon State University Press is somehow already nearing its end, and I’m incredibly thankful for the opportunity to work in such a welcoming and learning-filled environment. Over the past year I've sat in on editorial board meetings, created digital excerpts of books, and was able to travel to Chicago for the Association of American University Publishers' annual meeting. At AAUP, I learned about new tools in digital publishing and talked to countless people who clearly love what they do. One of the sessions I attended was Best Practices in Editing, which not only emphasized the importance of publishers—particularly university presses!—in the midst of the rise of self-publication, but also suggested different digital tools to increase the ease of editing in a market that is shifting heavily towards digital. I’ve been a reader my whole life, and I can’t think of many things I love more than a well-made paper book, so the influx of e-readers has been a tough adjustment for me to accept. However, I’ve learned that the possibilities of what digital tools can add to a reading experience are endless. A few months back I read Rolling Stone contributing editor Rob Sheffield’s Talking to Girls About Duran Duran: One Young Man’s Quest for True Love and a Cooler Haircut. The book is a memoir of his coming-of-age, but is separated into chapters titled by names of various songs in the 1980s—songs of his youth. When I would reach each chapter while reading the book, I would grab my laptop and head to YouTube to listen to the song—whether I had heard it before or not—to give myself context, for in each chapter he would explain how the titular song related to and played an important role in an aspect of his life. Upon finishing the book, I was grateful for the small bit of extra work I put in, and it opened my eyes to the wonderful possibilities that technology has allowed for in the literary world, too. Similarly, OSU Press recently teamed up with First Peoples: New Directions in Indigenous Studies on Songs of Power and Prayer in the Columbia Plateau: The Jesuit, the Medicine Man, and the Indian Hymn Singer by Chad Hamill. The book features notations of various hymns which the reader can now listen to clips of on the book’s website, along with recordings of hymns that were not mentioned in the book. While the influence of the Internet on book publishing is complicated, the abilities it has to bridge the reader to the content itself is exciting, especially for the scholarly works often published by university presses. The sessions I chose to attend at AAUP were largely focused on how technology can help to advance a field so often seen as the antithesis to it. Digital content was a frequent topic of discussion and theme of panels, from e-book formatting, to promotional tools like the now-ubiquitous usage of video trailers for upcoming publications, to social media uses for marketing, to online-housed content meant to supplement and enhance the reading experience. I left the meeting with the sense that digital and physical publishing do not have to cancel each other out and that their ability to coexist can continue to create meaningful literary experience for readers. My internship has cemented in my mind the importance of publishing houses, amidst a great present push towards self-publishing, for getting a book to the world in its best possible form. It’s shown me the value of a glance of a human eye over something pending publication, the various projects involved getting the word out about a new publication, and just how enjoyable it can be to show up at the office with co-workers who really care about what they do and are simultaneously incredibly hard-working and down-to-earth. One of the most important things I have taken away from the AAUP conference and my time at the Press is how university presses give ease to sharing information; oftentimes, books published by university presses are books that wouldn’t appeal to a big publishing house with a high selling quota, but they are still able to exist because of university presses. I have a stack of recently published books on my desk at the Press that includes titles about land use, Oregon governmental history, and Indigenous music, to name a few. This breadth of knowledge and the ability to share it with the world is one of the most beneficial things about the existence of university presses. And, coming from a girl whose room is filled with dog-eared and underlined pages, more books and more learning—whether from paper or e-reader screen—can never be a bad thing. We are pleased to have OSU Press author Richard Etulain blogging for us as part of the University Press Week blog tour. A complete blog tour schedule is available here. Like most academics, I began my love affair with university presses when I first enrolled in upper-division and graduate-level college courses in history and English. In graduate school at the University of Oreg on our assigned texts and collateral readings were often books with a university press imprint. We realized, too, that the most of the often-mentioned, must-read books for master's and doctoral comprehensive exams were university press books. At the very beginning of my academic career I began to understand how central university press publications were to my studies. My marriage to university presses continued throughout nearly forty years of teaching. Although core texts in my introductory history and literature courses often bore the imprint of trade or textbook publishers, the other assigned texts were often from university presses. Indeed, something of a balance obtained: adopted textbooks, reprinted writings of notable historians and literary figures, and autobiographies and memoirs often came from trade publishers; but the assigned scholarly monographs, sometimes outnumbering the other texts, were university press publications. Not surprisingly, when I began to launch my own publication career, I naturally looked to university presses as outlets for my writings. During the last forty years, most of my fifty authored and edited books have carried a university press imprint. At the outset, because my first books were very modest endeavors, I worked with lesser-known publishers, such as Dakota Press, Idaho State University Press, Boise State University, Utah State University Press, and the Popular Press of Bowling Green State University. Those presses provided invaluable experiences in the publishing field as I negotiated the uncertain shoals of academic publication. I remember them fondly because I learned so much from these presses. The next stage of my career led to affiliation with better-known university presses in the American West. University presses at Utah and Nevada midwifed into print my book Conversations with Wallace Stegner—and on to strong sales. The University of Nebraska Press published my coauthored (with Michael P. Malone) The American West: A Twentieth-Century History, which became a Main Selection of the History Book Club and a nominee for a Pulitzer Prize. And the University of Arizona Press printed my Re-imagining the Modern American West: A Century of Fiction, History, and Art, winner of the book-of-the-year award in western history and a Western Heritage prize. I have also worked with several university presses as a series editor. The University of Oklahoma Press has now published nearly thirty volumes in its/my Oklahoma Western Biographies series. Ten other books have appeared in the Modern American West series of the University of Arizona Press, and the University of Nebraska has now issued two prize-winning volumes of the six-volume History of the West series. Most of all, I connected with the University of New Mexico Press. As a member of the History Department at UNM for twenty-two years and the UNM Press faculty committee for almost two decades, I naturally gravitated toward my home base. Working closely with the very able and supportive editor David Holtby, I authored or edited eleven volumes for the UNM Press. Two of the most important, best-selling volumes were New Mexican Lives and Beyond the Missouri: The Story of the American West. Strong links to the UNM Press did much to further and sustain my publishing career. After retirement from UNM in 2001, I reached out to other university presses. I worked with Southern Illinois University Press on Lincoln Looks West. Soon thereafter, I also became coeditor of the Concise Lincoln Library at the SIU Press, a series that includes numbers eight compact books on Lincoln and several others under contract. Most recently, I've worked with the Oregon State University Press for the first time. Although small in size, the OSU Press staff has been remarkably diligent and on-track in helping me prepare Lincoln and Oregon Country Politics in the Civil War Era for publication in early 2013. I'm very pleased to have this, my fiftieth book, published by an up-and-coming university press in my home country of the Pacific Northwest. Over time, I have learned much from these long-time connections with university presses. In my early academic years, those lessons were the rudimentary steps of preparing a publishable manuscript and marching through the necessary stages of reader and editorial evaluation, acceptance of a manuscript, copyediting, page proof reading, indexing, and the joys of a new book in hand. Along the way, by reviewing and commenting on well more than one hundred manuscripts by other authors, I saw first-hand and came to appreciate the demanding roles of editors at university presses. Likewise, I began to comprehend the challenges of advertising and marketing academic books. Nor will I forget the warm friendships I've made with directors, acquisition editors, marketers, design and layout editors, and other staff members. Altogether it has been a wonderful journey of a half-century bundling with university presses. We are pleased to have OSU Press author Robert Michael Pyle blogging for us as part of the University Press Week blog tour. A complete blog tour schedule is available here. As a writer who has published books for three decades with several of the major commercial publishing houses, I have become a greater and greater advocate for university presses. My experience in commercial publishing has generally been good. However, I have also been in a position to see some of its rawer exposures: unfriendly takeovers and mergers, the sinking of fine old houses to the status of coat-closets in giant conglomerates merely for the better pickings of the backlist bone yard, the shredding of books not a year out from literary awards in order to avoid inventory taxes, undue obeisance to big-chain bookstores, and on and on. The mercantile publishing world has grown even more starkly philistine and timid under the recent onslaught of e-books, to the peril of the backlist, contracts underway, and anything adventurous. When the bottom line alone calls the shots, the shots become mere potshots instead of shooting stars. By contrast, I have found university presses to be willing to engage and promote good books with readers more in mind than bean-counters. Not that they don't attend to business: they must adhere to good value and prudent choices, in a time of tight budgets. But the commitment to writing of substance in a non-profit setting makes the university presses capable of creating the kinds of high-quality, greatly varied, and original books that are growing all too scarce in the world of profit-driven publishing. While not giving up on the private houses altogether, I have truly enjoyed my first two outings with a university press, and look forward to more. I, for one, feel that civilization will live on, and well, as long as our universities stand and their presses continue to print significant books that might otherwise never see publication. 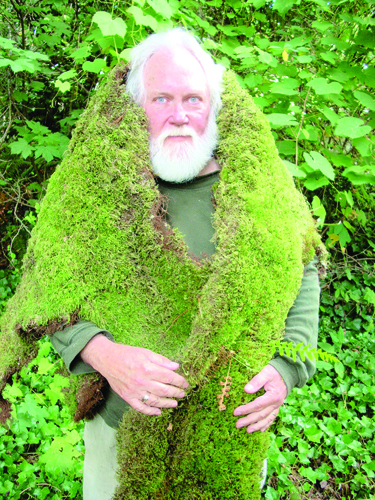 Robert Michael Pyle, author of OSUP titles The Tangled Bank and The Thunder Tree, lives in Southwest Washington. We are pleased to have OSU Press author Brian Doyle join us as part of the University Press Week blog tour. A complete blog tour schedule is available here. I have been delighted to be published by a university press for many reasons, some of them egregiously selfish, like a superb editor who let my headlong style alone and only caught my many errors and narrative crimes; but the deepest reason has nothing to do with finally getting to vote on my own book covers, or the immediate and personable response I get to the usual authorial neurotic wheedling and mania. It has something very much to do with community, and with responsibility to the stories that matter, and with giving children of all ages in my region the best opportunity to encounter and digest and savor stories they would never get in any other way than the graceful way they are celebrated by university presses. The university press that publishes me, bless its taste and discernment, is consciously and deliberately and happily a regional press. It takes its place in the community quite seriously. It wishes to catch and share history here. It wishes to sing and salute the natural world, which is to say our neighbors of all species. It wishes to speak clearly and eloquently of the moist grace of this place, and no other, for I believe its visionaries know full well that if this press does not speak those stories they will be lost. I have great respect for commercial presses of all sorts; to recruit and promulgate story is generally a positive thing in this universe, and those men and women who bet their livelihoods on publishing are brave souls. But I have a higher respect for university presses, when they turn their capacious talents and resources to communal responsibility and not merely the driest of academic ephemera. To live well in a place is to be a student of its character and characters, its stories and tales, its tumultuous life and stunning possibilities; if we do not share stories of what we were and who we can be, we are merely visitors in a region, not residents. It seems to me that university presses like the one that publishes me are most attuned to story as, no kidding, no exaggeration, food for the soul, both individual and civic. They tell the stories that would not be told otherwise; and the fact that my university press is backed and supported and encouraged by a university that is, in the final analysis, in the business of waking lanky children to their best and most generous and creative selves is doubly cheering. It would be so very easy, so reasonable, so sensible, to measure the effect and impact of university presses only by the usual stick, cold cash. But that is a small stick by which to measure the good they do. The much larger measurement is the community itself, the lanky children of all ages. Are we more informed, enlightened, instructed, even humbled, by the stories caught and shared by our university presses? Absolutely so; for which I think we ought to bow gently this week, and say thanks, for extraordinary and crucial work, done very well indeed. 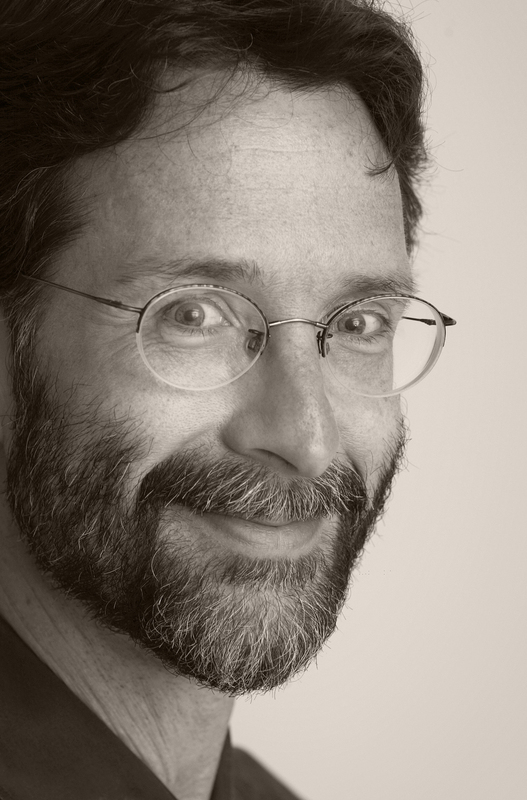 Brian Doyle is the author of three books with Oregon State University Press: a novel, Mink River, and the nonfiction works The Grail and The Wet Engine. We are pleased to have OSU Press author Ana Maria Spagna blogging for us as part of the University Press Week blog tour. A complete blog tour schedule is available here. I admire university presses, revere them even, for more reasons than I can name. There’s the wealth of information their books had provided me during research. Need to know about American Indians? There’s Oklahoma. Civil rights? Mississippi. Western water wars? Utah. Then there are the reprints, those lost gems. My own home press, Oregon State, has resurrected some of my personal literary heroes H.L. Davis and Don Berry. Then there’s the long tradition of essential writers who got their starts with university presses, many of whom stayed: Edward Abbey, Norman McLean, Rebecca Solnit, Scott Russell Sanders, Lucia Perillo, Stanley Crawford. But most of all, I adore university presses, cherish them, for what they are not. A few years ago I thought I was on the brink of something big. An agent (an agent!) was shopping my first collection of essays around New York. Not surprisingly, at least in hindsight, the collection did not receive a warm reception (essays? ), so the agent suggested that I rewrite the manuscript to make it more saleable. OK, I said. Sure. But what did she mean? Could she suggest a book that might serve as a model? The Da Vinci Code, she said. Read The Da Vinci Code. I was stunned. The distance between my little book of nature essays and Dan Brown’s mega-seller could be measured in light years. Her suggestion was ridiculous, nearly outrageous. I was disheartened the same way I’d be disheartened a few years later when an editor at a large publishing house gushed in admiration of one of my books, and then took it to the marketing department where it was rejected out of hand because they didn’t think it could sell the requisite 25,000 hard cover copies. Twenty five thousand? That seemed a very high bar. How many of my most beloved books would not exist if they’d been required to sell that many copies out of the gate? Nearly all of them, I realized. That first collection finally found a home at a university press, and home was the right word. The small staff proved helpful and encouraging, dedicated and demanding and very very smart. I was honored and humbled to work with them—I’m honored to be with them still—but I’m honored even more to be part of a sub-culture that cares about, well, culture. Not the mega-seller, but the best book possible, sometimes from the least expected author, the least expected place. In that way, university presses, like indie record labels, have become incubators of talent and a bulwark against highly profitable sameness. How many Da Vinci Codes do we really need? Ana Maria Spagna is the author of Potluck: Community on the Edge of Wilderness and Now Go Home: Wilderness, Belonging, and the Crosscut Saw (both from OSUP). Her essays have appeared in Orion, Utne Reader, Open Spaces, Backpacker, and Best Essays NW. She lives in Stekehin, Washington.